US Government: Remember That Time They Purposely Poisoned Thousands of Americans? Often, the State feigns repentance for its past crimes, from the genocide of Native Americans and slavery to even some of the CIA’s corporate coups. Small paragraphs — and sometimes even chapters — discuss these atrocities in public school textbooks, if only because they are so widely-known that institutions can no longer ignore them — lest the government’s illustrious stated goals of educating the citizenry be questioned. Still, many of the State’s most sinister secrets remained buried. On New Year’s Day, 1927, hospitals in New York were flooded with people dying from poisoned alcohol — alcohol made toxic courtesy of the very same government that had made the substance illegal in the name of keeping the public safe. One hundred years later, this abhorrent historical anecdote is so obscure it reads like a paranoid, unsourced conspiracy theory in a dubious internet forum. Regardless, 41 people did die that New Year’s Day, and estimates suggest that anywhere from 10,000 to 50,000 people were killed by government-poisoned alcohol in the 1920s — and the deaths were a direct result of policies the government imposed. The 18th amendment, which banned the sale and production of alcohol, was ratified in 1919, spurred by the temperance movement and Americans’ weariness following World War I. The Volstead Act was passed shortly after as an “enforcement” act to ensure Congress could actually implement the amendment. The bill included provisions to poison alcohol so as to discourage people from drinking. 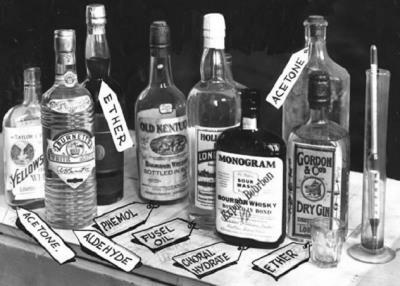 Denatured alcohol is generally a normal, drinkable alcohol with chemicals like quinine and methyl alcohol added to make it industrial — and therefore undrinkable. As far back as 1906, the Treasury Department (charged with overseeing alcohol enforcement) had already required manufacturers who wanted to avoid taxes levied on potable spirits to denature their alcohol. 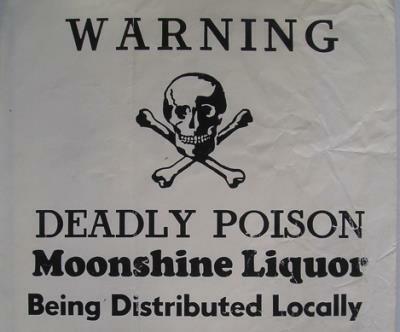 But by late 1919, the Volstead Act had created tangible incentive for manufacturers to produce poison liquor. As Edward Behr documented in his book, Prohibition: 13 Years that Changed America, “Under Volstead Act provisions, the manufacture of denatured alcohol was not only legal, but tax exempt. The denaturing substance was usually methanol, and methanol was extremely poisonous. Three glasses could be lethal, explaining the steady rise in the death toll from 1920 onward.” The Volstead Act intentionally failed to include a provision that required a label warning of the poison. It quickly became apparent that simply banning a substance could not impede its consumption (this should sound familiar, considering the decades-long failed Drug War). Though rates of alcohol consumption initially dropped, by the mid-1920s they had increased sharply, so the government stepped in to further “discourage” people from drinking. The strategy? Add more toxic chemicals. This spike in deaths happened particularly because much of the denatured alcohol used by industrialists eventually made its way to bootleggers, a majority of whom did not fully “renature” the alcohol. In fact, in 1926, prominent prohibitionist and Deputy Attorney General Mabel Walker Wildebrandt noted that 660,000 gallons of denatured alcohol existed, with a significant portion ending up in the hands of bootleggers (other more recent estimates claim “some 60 million gallons of industrial alcohol were stolen annually to supply the country’s drinkers,” though the author who noted this statistic did not return an email from The Anti-Media seeking clarification). 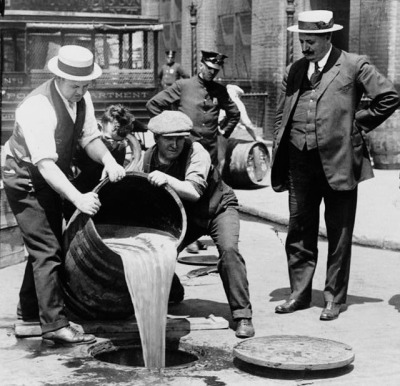 A 1927 study of confiscated liquor in New York City found that 98% contained some sort of poison. In other words, the government was well aware that the poisoned alcohol was reaching the citizens they were trying to “protect.” But because they were so eager to reduce drinking — and saw that the 18th amendment and Volstead Act were failing to achieve that noble goal — they continued to increase the levels of poison added, creating an even larger spike in deaths. At the time, there was no doubt that the government was responsible for the thousands of deaths. Though there are no national estimates on the death toll, Behr documented that “…it is probable that by 1927 such deaths may have exceeded the 50,000 mark – to say nothing of hundreds of thousands more nonfatal cases resulting in blindness or paralysis.” By 1930, as many as 15,000 people from one small Kansas county had been victimized by the tainted alcohol. Though Wheeler initially claimed only one person had died because of denatured alcohol since 1920, he was swiftly ridiculed by experts. Hastily, he argued “…the government is under no obligation to furnish people with alcohol that is drinkable when the Constitution prohibits it. The person who drinks this industrial alcohol is a deliberate suicide.” Clearly failing to appreciate or empathize with the nature of addiction, Wheeler refused to accept the responsibility he had once clamored to claim. Additionally, the very same politicians that codified the Volstead Act were widely known to be raging alcoholics — though they enjoyed “safe” alcohol. “It was common knowledge that ‘Senators and Congressmen appeared on the floor in a drunken condition,’ and ‘bootleggers infested the halls and corridors of Congress and ply their trade there,’ and that no attempts had ever been made to expel them,” Behr noted. Politicians enjoyed private supplies of high quality liquor on the premises, where bootleggers kept supplies stocked. The corruption went as high as the Attorney General (and even the president), who arranged to exonerate prominent bootleggers who had been caught and found in clear violation of Prohibition statutes. The case of the poisoned alcohol is not an isolated incident. The United States government has a history of abusing individuals “for their own good.” In addition to infecting black Americans with syphilis in the 1930s (allegedly to help study treatment options), the government conducted a similar program in Guatemala that sickened hundreds of innocent people. It facilitated tests on 60,000 minority soldiers, exposing them to mustard gas in the hopes that blacks and Latinos possessed super-human immunity that would allow them to rush into battle ahead of the whites. Many of these egregious acts have only come to light in recent years, breeding suspicions about what other crimes have transpired that are yet to reach the public. What these actions have in common is the government’s historical pattern of killing or maiming people to save them. Regardless of the State’s intentions for poisoning alcohol — no matter how disingenuous or well-intentioned they may have been — it remains that even if lawmakers and prohibitionists did have the people’s best interests at heart, they failed miserably in accomplishing their goals. Worse, that same government remains unchecked today, creating more questions than answers about what heinous crimes are currently transpiring that the citizenry may only learn about a century from now — if ever.